Posted in Ralph Abraham, Rupert Sheldrake, Science & Technology, Terence McKenna (mp3), Trialogues and tagged Ralph Abraham, Rupert Sheldrake, Science & Technology, Trialogues. Always enjoy and learn from your podcasts Lorenzo, thanks for all the effort you put in. Was traveling in India last winter and met Dr. Sheldrake by chance at a temple in Thanjvur. Kind, generous, and thoughtful he is. Thanks for the link to your film. I’m looking forward to seeing the final version. . . . and thanks for the other links as well. I’ve been to Hollyhock myself and highly recommend taking in a workshop there if you ever have the opportunity. I met some amazing people there, and several of them are now close friends. 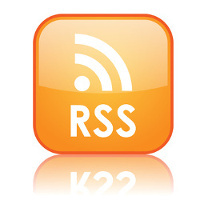 hi, for some reason the blog, the frontpage pulldown list, and the rss feed are out of sync.